Guitar electronics demystified! Learn how to wire your Fender guitar cleanly for great sound, and discover how its electronics work. The 34-minute DVD with famed repairman Dan Erlewine demonstrates complete wiring jobs step-by-step, and will give you the confidence to do the job right. It also features special animations to help you understand how the pickups and electronic components function. Dan presents complete wiring jobs for Strat and Tele using our Golden Age pickups. 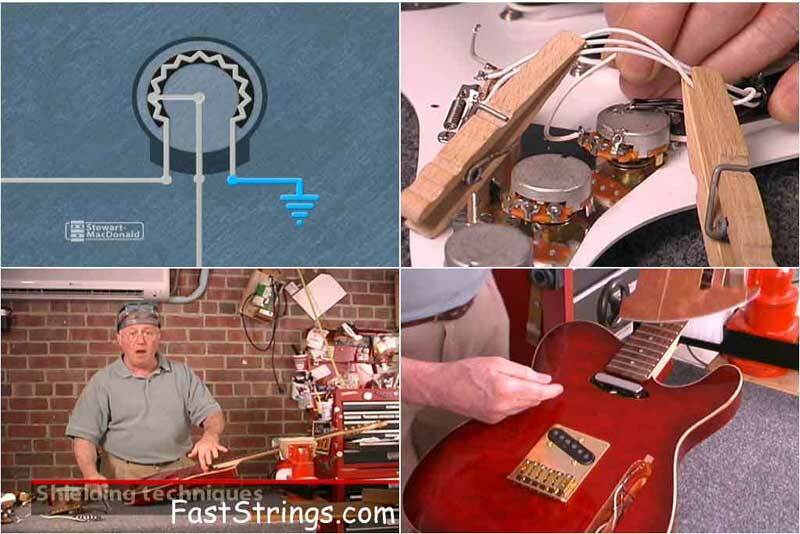 With the diagrams supplied in our wiring kits as a guide, he shows you how to install the pickups, switch, pots and output jack cleanly and professionally. Proper grounding and copper-foil shielding techniques are demonstrated to help reduce noise, and Dan also shares a handy tip for properly locating a Tele rhythm pickup to fit the pickguard. This is really useful as I always have hum problems with my Fenders. Thank you very much for sharing!